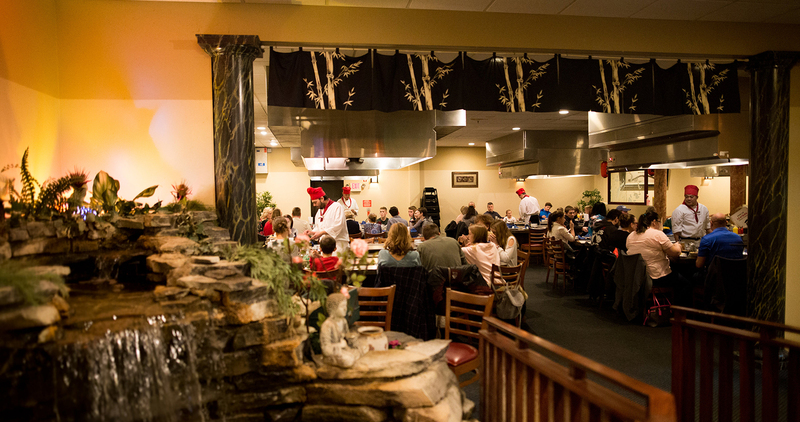 Shanghai Ichiban is one of West Michigan’s favorite dining establishments and has been serving the area since 1987. Formerly known as Shanghai Garden, the Yang family relocated the restaurant to its current location at the corner of Broadmoor (M-37) and 29th Street where head chef, James Yang and his brothers, Steve and Eric continue their success of 30+ years of restaurant experience. With two restaurants under one roof, Shanghai Ichiban offers two unique dining experiences. Our Japanese Steakhouse offers all of the flare and excitement with a meal prepared right before your eyes by a skilled hibachi chef. Or enjoy an intimate, relaxing experience in our Chinese dining room where you can customize a delectable meal from an expansive menu that includes familiar dishes as well as specialty dishes created by our head chef. We also have a sushi bar that serves fresh fish daily and can also be ordered on either the Japanese or Chinese side. Being a family-owned establishment, our success depends on the quality of its customers. We thank all of you for your support over the past three decades and look forward to continue serving the greater West Michigan area for years to come! Reservations always accepted and highly recommended for larger parties and weekends. Please call us at (616)942-5120. All reservations will be held for 10 minutes after the reserved time. After that allotted time, we can no longer guarantee your reservation time, but will do our best to accommodate your party. Exceptional service with a very attentive host. We've taken our associates here twice to celebrate successful quarters and have been treated very well. The lobster and filet is very good and their chefs are excellent and entertaining! Awesome!! Sushi is very delicious!! Will definitely be back! Wonderful date night with my wife on our anniversary. Everything about this place is great. Food and service is awesome. Best Chinese food in Grand Rapids! I stop by every time I’m in the area. Great food, great atmosphere, and very clean. Highly recommend this restaurant! Awesome food and service! Love having the option of hibachi, sushi, or Chinese. Can’t wait to head back again in the near future. This has been a Grand Rapids staple for years! Great family experience (Hibachi). Food is amazing. My kids loved the entertainment - it is my 6 year old's favorite place to eat. The chef went over and above to make sure our young boys had a great time, and so did we! Great food too.